"Vancouver, WA — Brainiacs are planning an invasion of Vancouver. About 500 chess players will head to the city on August 4-12, 2012, for The United States Chess Federation’s 113th U.S. Open. 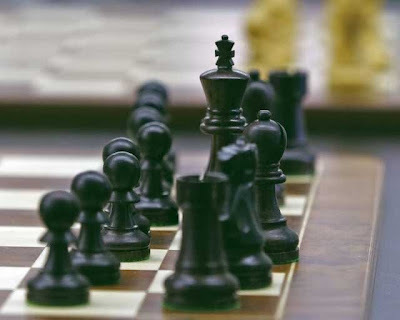 The event will be held at the Hilton Vancouver Washington hotel at 301 W. 6th St.
It’s a big deal, both locally, and throughout the region, said Gary Dorfner, secretary of the Washington State Chess Federation and tournament director of the Tacoma Chess Club." This prestigious Chess event has now arrived and begins today. An estimated 100 of the 400+ pre-registered players are from Oregon including at least one of our own Gresham residents, Geoff Kenway. Geoff is a formidable player at our strategy board game events. We wish him well during the tournament. At Off The Charts Games, we carry several styles of chess sets. Please come in and see our selection at our store!